Manulife US REIT's results were above expectations due to higher property income, mainly due to higher-than-expected contributions from Plaza and 10 Exchange. MUST saw positive rent reversions of 12.2% in 4Q17. Passing rents are 5-10% below market rents across presenting scope for further upward reversions. Management guided plans to double its AUM in the next two years to US$2.6b. Maintain BUY with an unchanged target price of S$1.12. 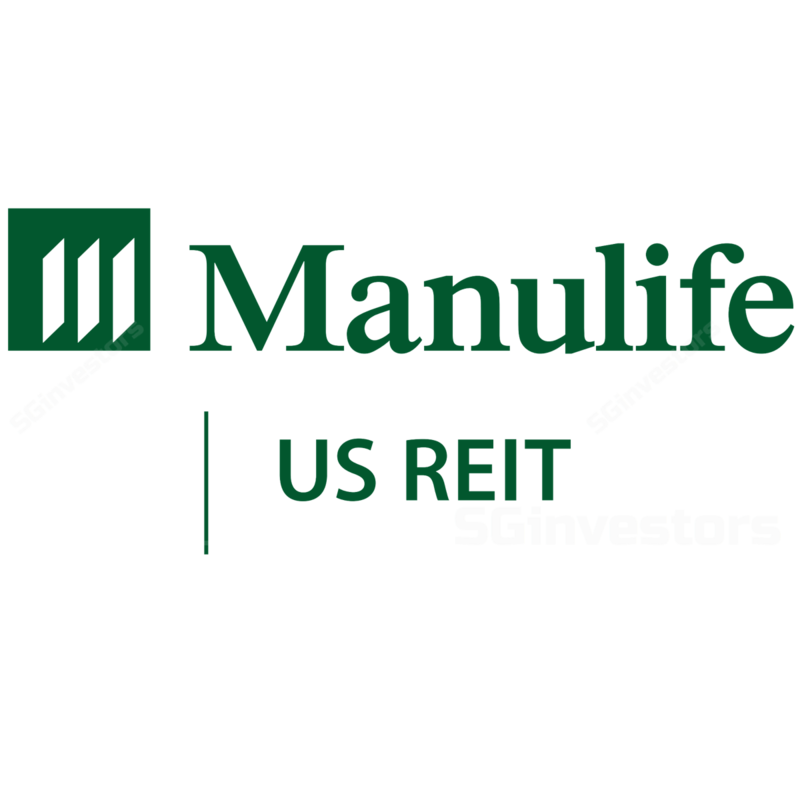 Manulife US REIT (MUST) reported 4Q17 DI of US$14.6m, which surpassed projections by 61.5%, bringing 2017 distributable income (DI) to US$46.7m. Full-year property income of US$58.4m was above the company’s forecast by 20%, due to contributions from Plaza and 10 Exchange, higher rental and other income, as well as lower property expenses from its three initial properties, Figueroa in Los Angeles, Michelson in Irvine and Peachtree in Atlanta. Results are slightly above expectations, with full-year DI representing 106% of our full-year estimates, mainly due to higher-than-expected contributions from Plaza and 10 Exchange. Positive rent reversions of 12.2% for the leases renewed in 4Q17. Passing rents are 5-10% below market rents, presenting scope for further upward reversions. Portfolio occupancy stood at 95.9%. Property portfolio grew 57.4%, driven by the acquisitions of Plaza and 10 Exchange, as well as valuation gains of its existing portfolio. The portfolio also has a long WALE of 5.7 years. Gearing increased marginally to 33.7% in 4Q17 (compared with 33.1% in 3Q17). The weighted average term to maturity stood at 2.83 years p.a., while the interest rate remained stable at 2.83% with interest coverage ratio at 5.5x. In-organic growth ambitions with plans to double AUM to US$2.6b. Management guided that they plan to leverage on their sponsor to continue searching for and acquire yield-accretive assets, with a target of doubling AUM to US$2.6b in two years. Continuing on their investment strategy, MUST is on the lookout for assets with long WALE, high occupancy, and located in submarkets with strong economic fundamentals. The assets should also ideally fit into their “Live, Work, Play” theme, as management believes that people are less tolerant towards long commute and want to live near their workplaces. Management also prefers Trophy/ Class-A assets, as they tend to be more recession-proof (due to the tendency for flight to quality to Class-A assets during downturns). Changes to the tax structure. Tax changes reforming the US Internal Revenue Code (IRC), and resulting enactment of the US tax act will affect the deductibility of certain interest expenses for taxable years beginning after Dec 17. MUST has undergone some restructuring, and does not expect the associated costs to have any material impact on its NTA or DPU. At Figueroa, US$5m in works are being carried out on the main lobby and are slated to be completed in 2Q18. In 3Q18, some US$12m of work on the lobby, common spaces and equipment are also set to be completed. Management continues to look for opportunities to upgrade its assets, so that the buildings continue to be attractive to the tenants. US office outlook remains positive. The annual US office market’s rent growth is expected to grow marginally between 1.5-1.8% range through to 2020. Certain markets, such as Los Angeles, Orange County, and Atlanta, achieved above-average growth, while rent growth in Northern New Jersey has lagged the national average. In 4Q17, the US Office market saw positive momentum in net absorption of 12.8m sf of space, driven by financial, insurance and real estate (which are traditionally the main users of office space). The tech sector made up 20% of office leasing in 2017. We retain our earnings estimates. Maintain BUY and target price of US$1.12, based on a dividend discount model with a required rate of return of 7.8% and a terminal growth rate of 2.5%.